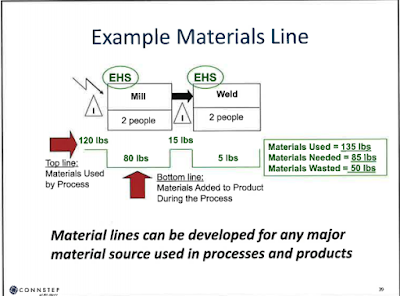 The approach proposed during this workshop is to utilize lean principles and practices currently in use in many manufacturing companies and then incorporate health and safety and sustainability aspects into these standard lean tools. 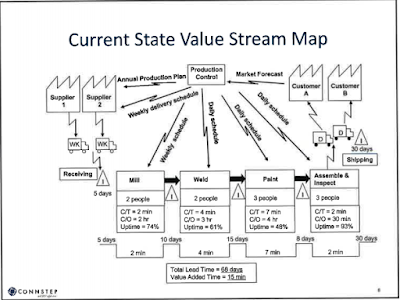 An example is the Value Stream Mapping tool which is used to define both information and material flow, to identify value-add and non-value-add steps (waste), and opportunities for improvement. The workshop proposed addition of safety and environmental considerations as part of this process which could be an effective approach if implemented properly and supported by leadership. 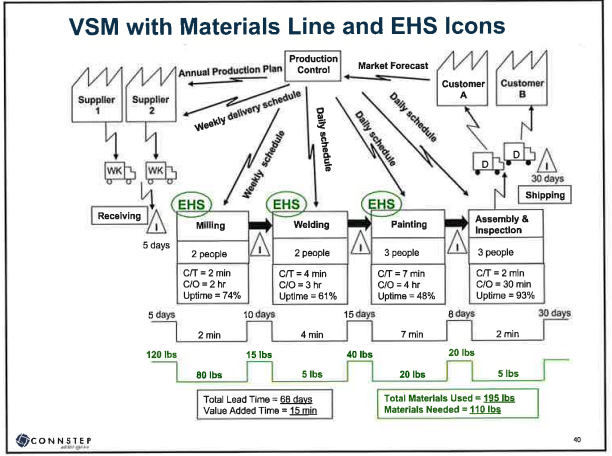 An example of a standard product manufacturing view is shown in Figure 1. 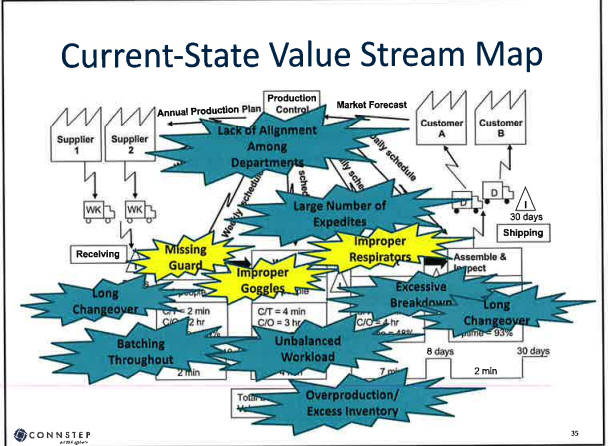 The VSM is used to identify opportunities to move from a current state to some improved future state. The workshop proposes to add safety improvements to this analysis as illustrated below in Figure 2. Following this progression in thinking, we can also use the lean tools to analyze current natural resource usages and identify opportunities for improvement. 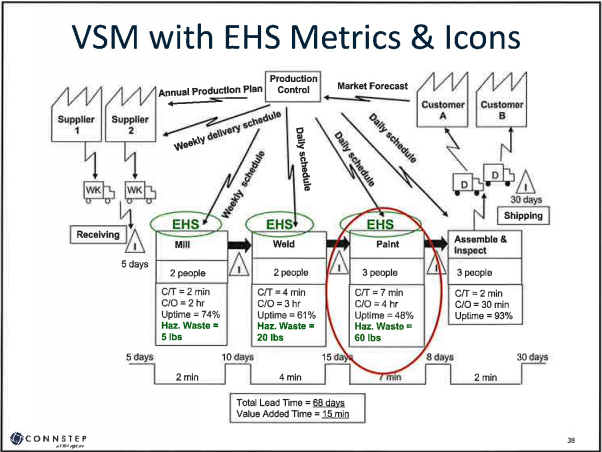 Figures 3 - 5 illustrate how this approach could be incorporated into the “standard” lean process. 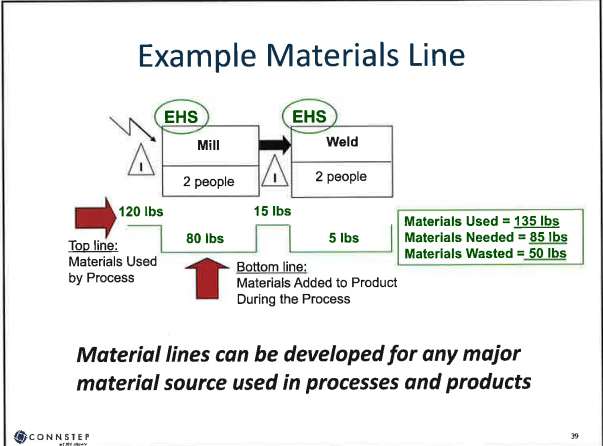 The process mapping approach was discussed in more detail and additional information can be obtained by review of the workshop presentation that is provided as a separate document. 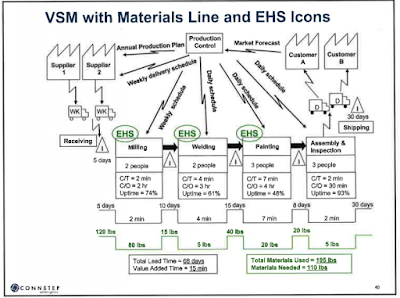 Discussion of this approach included identifying links to safety related to the “8 wastes” of the lean process: Defects, Overproductions, Waiting, Non-utilized people, Transportation, Inventory, Motion, and Excess Processing. I’ve summarized some of these relationships in the table below to illustrate the idea. 1. Overproduction indicates that workers may be working faster than needed by the next process, which can increase the risk of a repetitive strain injury. 1. Delays and time wasted due to poor material and information flow can impact employee motivation and increase the risk of falls and overexertion as workers rush to catch up. 1. Risk of complacency and loss of focus when performing monotonous tasks. 1. 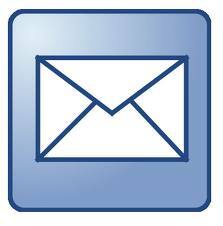 Excessive product movement increases exposure to material handling and industrial truck injuries. 1. Excess work in process between operations (due to large lot production or processes with long cycle times) impedes movement, increases the risk of trip hazards, distractions, blind spots for pedestrians and fork lifts, as well as manual handling injuries. 1. Unnecessary motions such as reaching over the head for a tool or searching for one, instead of having it within normal reaching distance, at the point of use, are both wasteful and hazardous. 1. Inefficient work flow and extra processing steps such as avoidable reaching, twisting and material handling tasks increase overexertion risks. 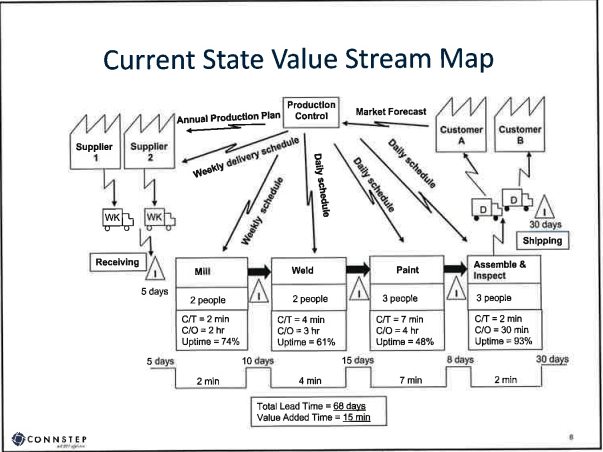 National studies show a strong correlation between high incident rates and lean implementations where strong safety programs were not present. 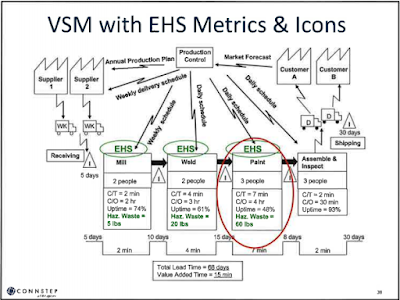 How do you incorporate safety into your lean efforts?